Combining creative visualization and affirmations is a great way to speed up your manifestations. The effect is not double but ten fold. Creative visualization is a very powerful way of manifesting the life of your desire. As the saying goes: “A picture is worth a thousand words”. The sub conscious mind is influenced both by words as well as by pictures. Words imply affirmations and pictures imply visualisation. When visualization and affirmations are combined, the effect is not two fold but ten fold. Normally, when we affirm, the best way is to repeat the affirmations in front of a mirror, looking into our eyes, at least a hundred times a day. When we visualize, we simply run the movie of our fulfilled desires in our mind. When we combine affirmations and creative visualisation, all we have got to do is repeat the relevant affirmations while we watch the movie in our mind. Let us take a few examples to demonstrate our point. As the most common desire in the world is abundance and prosperity, let us see how to combine creative visualization and affirmations for abundance and prosperity. First you have to decide what exactly prosperity means to you. Let us assume that it means increasing your annual income from $36,000 to $100,000. Now find a quiet place, sit or lie down in a comfortable position and close your eyes. Now visualize earning $100,000 annually. This can be done in several ways. As an example, visualize filing your income tax return. In the place for “Annual Income”, write the amount of $100,000. Now calculate the income tax payable and proceed to write that amount in the appropriate place. You should actually feel the form and “see” the amounts. Now, make out a cheque for the income tax amount and see yourself giving the cheque and the return form to the appropriate government authority. During this entire process, keep on repeating the affirmation, “I am now earning $100,000 a year.” The combined effect of “seeing” and “speaking” will be tremendous. The following Hollywood story illustrates this point wonderfully. Before acting in movies, the famed comedian Jim Carey (“Mask,” “Liar, Liar,” “Ace Ventura”, etc.) used to do stand-up comedian shows. Like most comedians, Jim also aspired for Hollywood name, fame and mega bucks. One day, he wrote a cheque of $10 million to himself. He carried it with him every day and reportedly used to look at it several times a day. Also, whenever he found time, he used to go to a secluded place and shout at the top of his voice, “I am now earning 10 million dollars a year.” Did he succeed? Not really!!! He did earn a great name for himself. But not just 10 million dollars a year! HE EARNED MANY MORE TIMES THAN 10 MILLION DOLLARS A YEAR!!! You can do this kind of combining of visualization and affirmations for any kind of manifestation. For example, if you want a new, bigger house, visualize and actually feel the kind of house you want and at the same time, repeat to yourself the affirmation “I am now living in this beautiful house”. 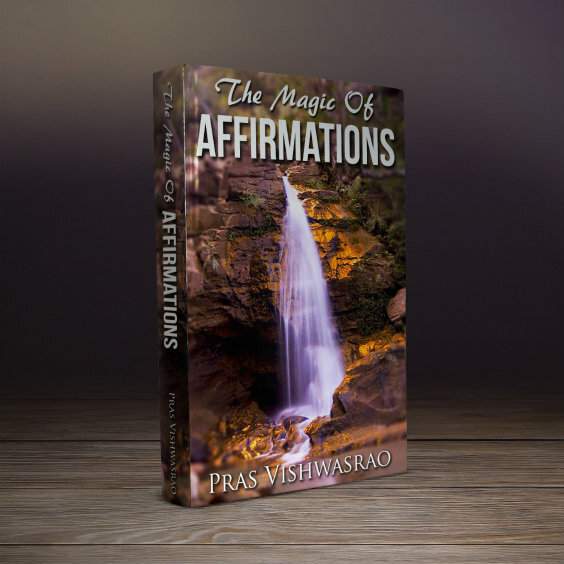 Experience the magic of combining creative visualization and affirmations.